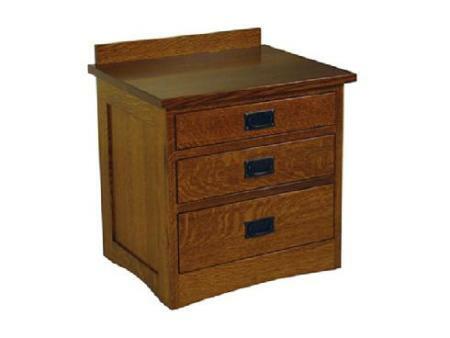 This mission nightstand is USA made and constructed from Solid Quarter-Sawn White Oak. It features full extension, ball bearing slides and solid maple drawers. Each drawer is finished off with a beautiful dovetailing.